Our next guest post while I’m away on honeymoon is from Katya of Katyascakehole.com. 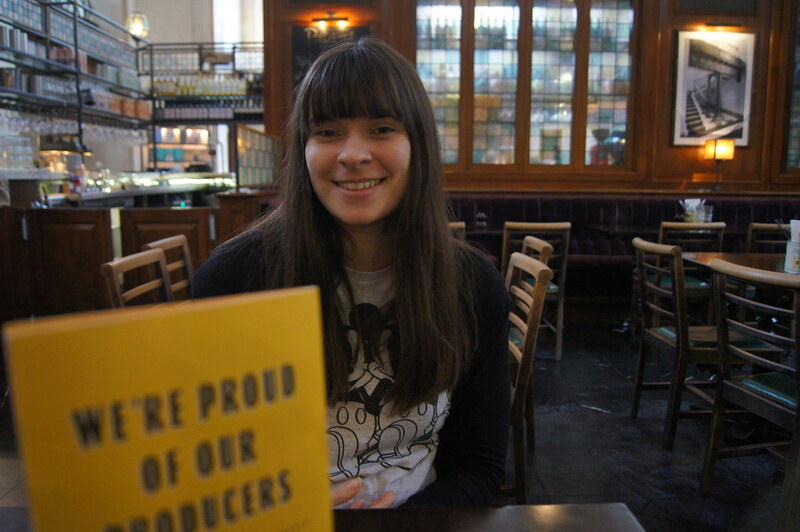 Katya is a food adventurer through and through; happiest when she’s surrounded by plates of the stuff. You can find her on her blog and you can also hire her for social media training and photography. Don’t read her blog on an empty stomach! She lives in Stockport with her boyfriend Jamie who understands that her priorities in life are food first, himself second. Like most women, I’ve always had a complicated relationship with food. Food first became an issue when I was about 12 and I got a bit chubby. And from that age dieting and eating weird things to lose weight became the norm. 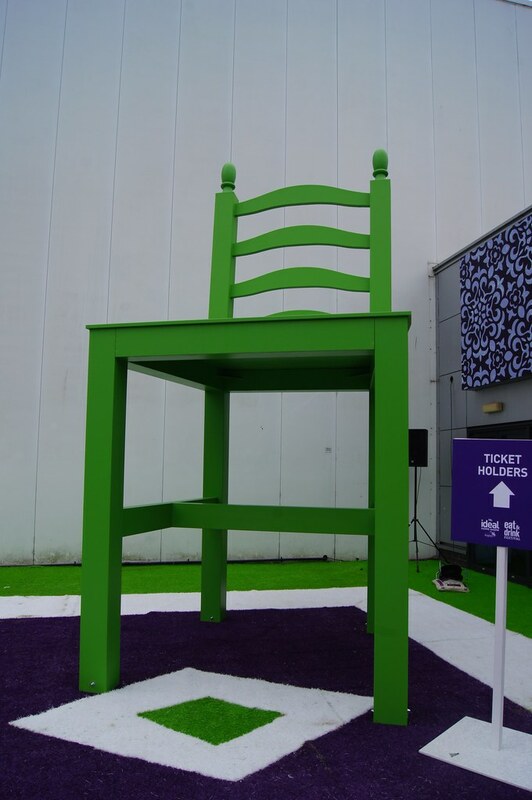 Over the years food normality was mainlining diet coke, buying strange tasting fake chocolate bars from Boots, low fat yoghurts, low fat everything, and my go to lunch was cup a soup (yuck) – any magic trick to lose the pounds. As an adult in my early twenties it became apparent that I actually had a very narrow diet because I was afraid that non diet foods would make me put on weight. Ironically, that was when I was the heaviest I’d ever been. And hilariously I was allowing myself to eat Mars bars and drink booze alongside my low fat diet, it was just everything else I refused to eat. A very patient friend convinced me I needed to start broadening my diet because I was literally missing out on delicious food and not living my life to the full. Fortunately I embraced this challenge and slowly started enjoying experimenting with food and have never looked back. Now at 41 years old I can’t say I’ve completely undone all the damage that started when I was 12. Some habits remain. For example a classic Katya trick last year was to eat a no carb evening meal (perhaps with courgetti), then be really hungry afterwards and have two portions of ice-cream. I’ve never quite lost the desire to trick my body so I can have more of the naughty stuff! However a year ago I stumbled across a cookbook by Diana Henry called ‘A Change of Appetite’. Diana is a food writer, and a very overweight one at that. The premise of Diana’s book is finding really amazing cuisines that are incidentally delicious. Her recipes blew my mind – they were exotic, intriguing and obviously, incredibly tasty. What really struck me though, was that Diana was not going to comprimise on taste. 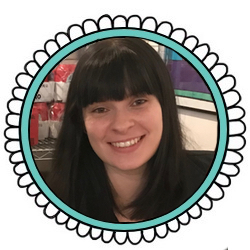 This is a woman who loves beautiful Danish pastries and gourmet food, and she expressed very stridently at the beginning of the book that she would not be sacrificing flavour or enjoyment. 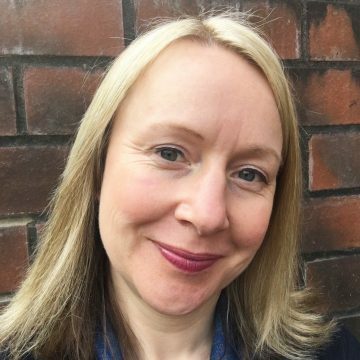 Instead she would gather all the facts on what healthy eating really means – which is a very different thing to dieting, and she would find cuisines and recipes that were nailing it in the most inspiring ways. I think Diana’s self belief that she deserved to eat beautiful food and continue to enjoy her food was a fantastic example to me. Women in so many areas of their lives are expected to make sacrifices, and suffering for the sake of a slim waist is yet another one. And what about the food? Well her section on grains really caught my eye. Ingredients such as barley, buckwheat and farro are cheap as chips, packed with an astonishing amount of nutrition and prepared the right way, despite their rather dull reputation, are versatile and bloody gorgeous. Unfortunately in a Western diet we tend to eat a lot of processed grains (white rice, white bread, pasta) that have had most of their nutrients stripped away. I was further convinced by Diana’s argument to get more grains in my life by the cracking recipes in her book. 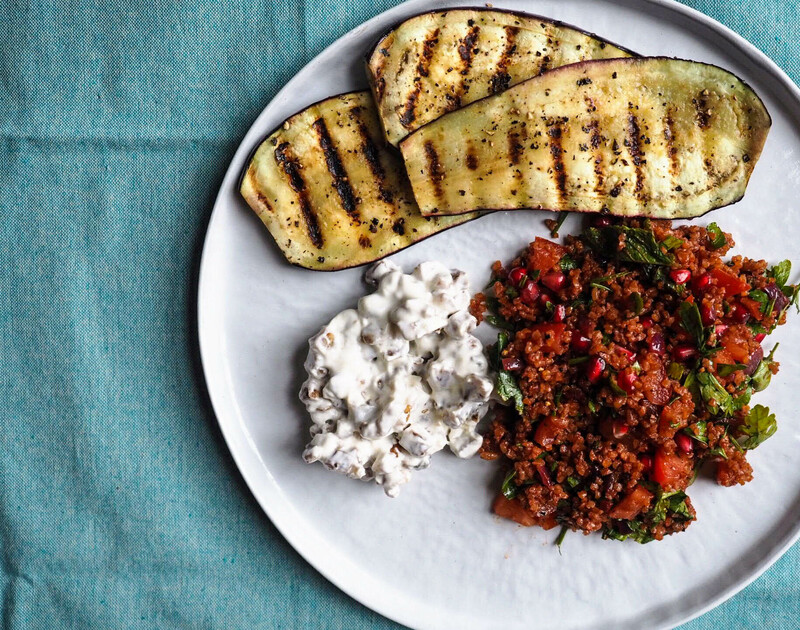 One of my favourites (pictured below) was kisir (an autumnal tabbouleh with pomegranite seeds) served with griddled aubergine, date, walnut and yoghurt salad. And a seed was planted, and I started to question how many processed grains I was eating, whether that was white flour, pasta or white rice. I realised I wanted to get more unrefined ingredients in my life. 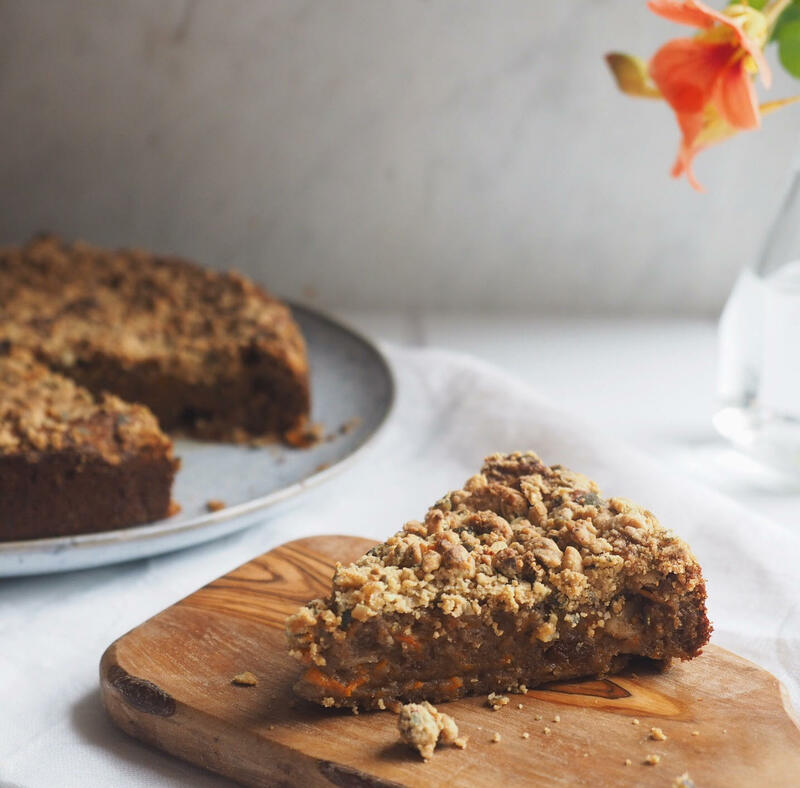 So in the past year I’ve started to cook increasingly with wholegrains like quinoa, freekah and bulgar wheat, and I now make cakes using healthier non-refined flours like coconut flour, spelt flour and ground almonds. And what I’ve discovered is I prefer the food I’m eating now. 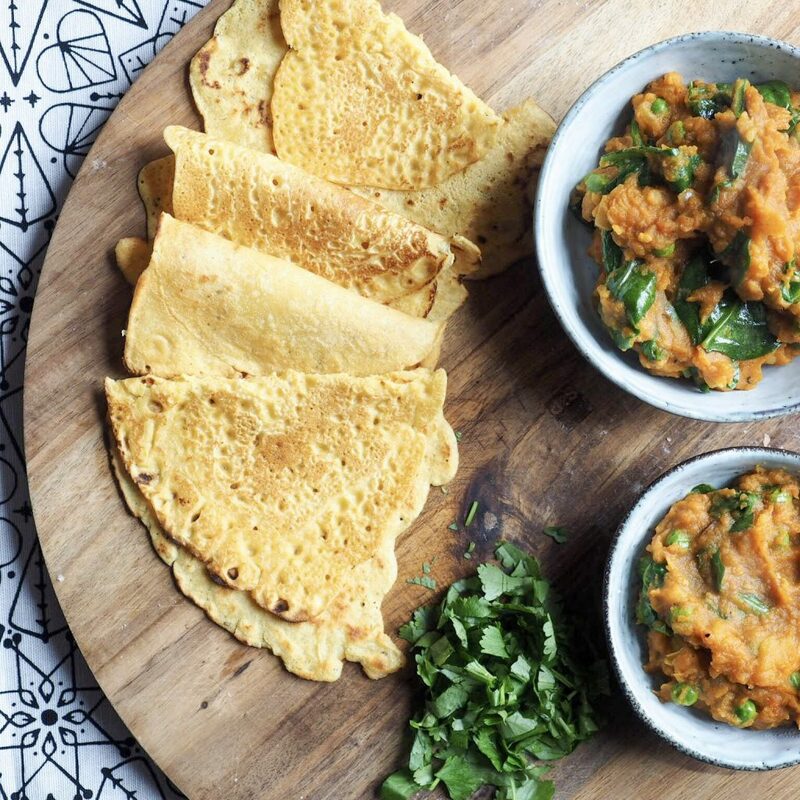 It’s more a faff to source the ingredients and find the recipes but omg, the rewards are huge – gorgeous satisfying food that satiates you in a way that processed grains just can’t. I’m certainly no food angel now, by any stretch of the imagination (especially when it comes to ice-cream and alcohol! ), but I’m delighted to be experimenting with and including more wholegrains in my diet, especially because it’s actually fun! It’s that time of year again! 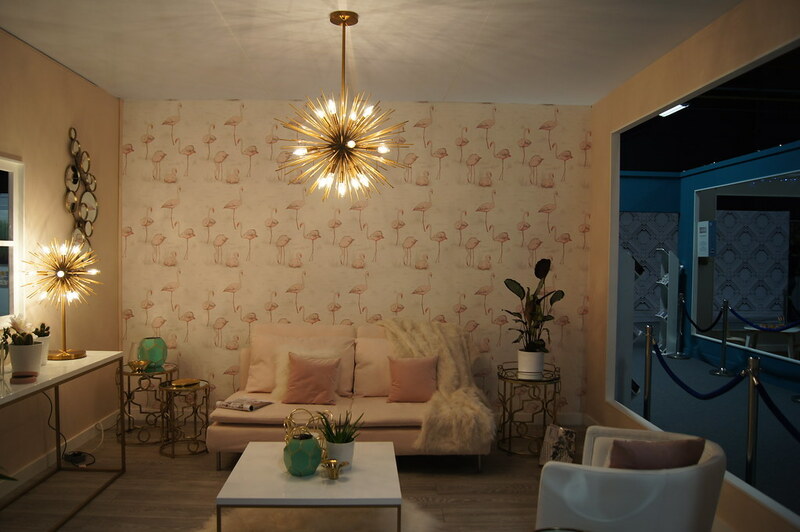 Topher and I had a great time at the Ideal Home Show last year so when I was offered a free ticket to go again this year I said yes straight away. Since Topher works during the week at a school now, I brought along Emma. 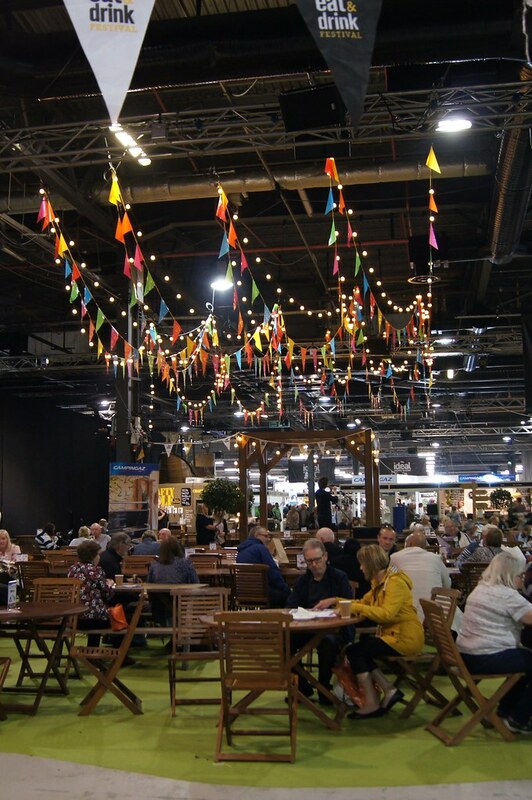 There was an eat and drink section of the show last year but now they’ve gone all out and given it an official festival right alongside the home show. Being a foodie, this was definitely the bit I was looking forward to the most! 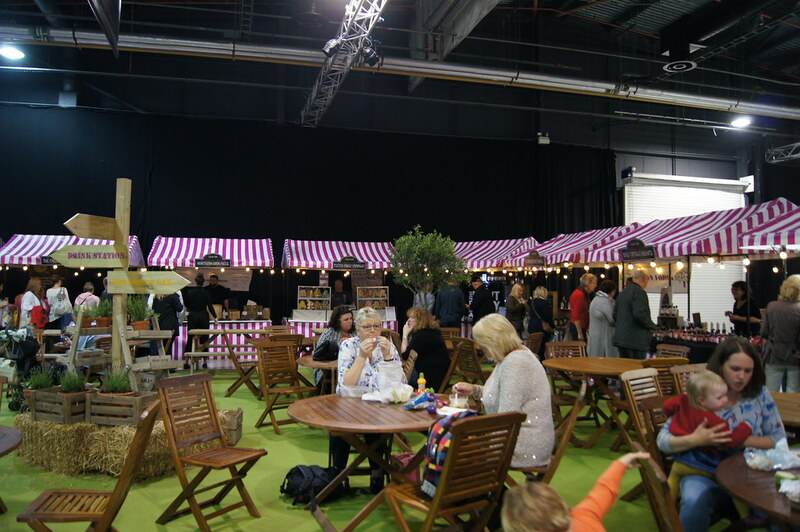 There were so many amazing stalls and we had such a good time trying samples and storing away cards for a later date. I may have also purchased some flavoured tequila! It was too much to resist. Otherwise I was very well behaved with my purse. I do have a honeymoon to save for after all. 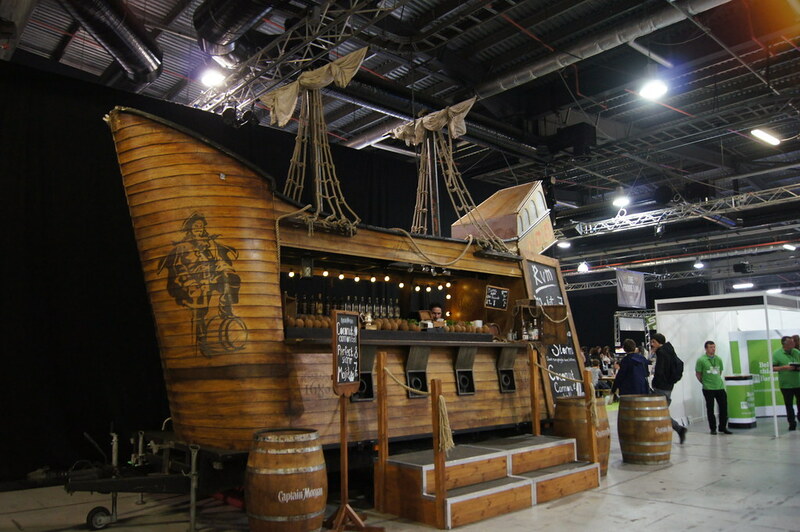 How cool is this little drinks van? 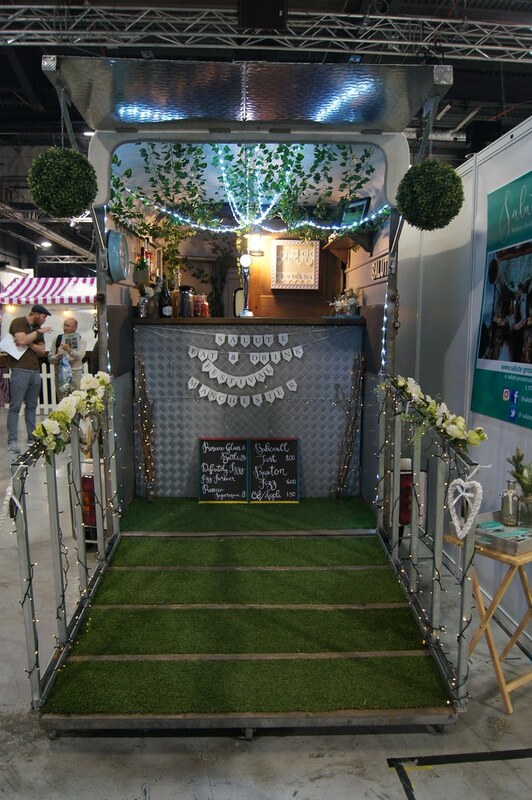 I wish we could have had something like this for our wedding! 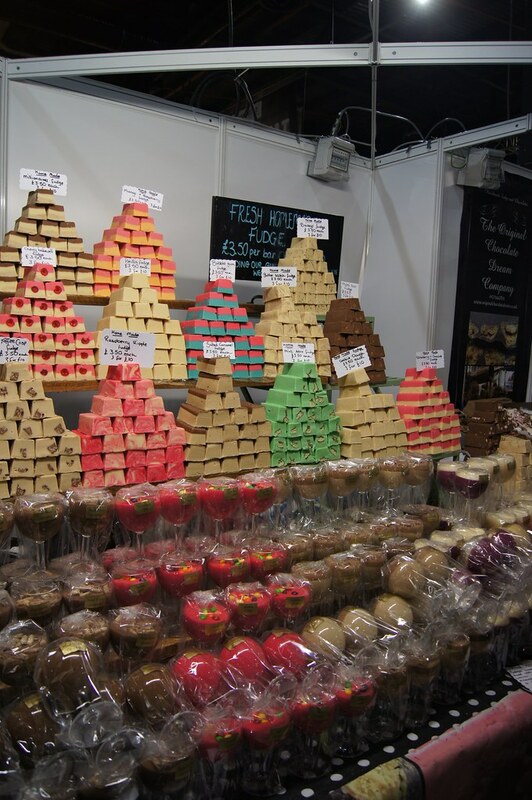 How awesome is this fudge? So pretty! 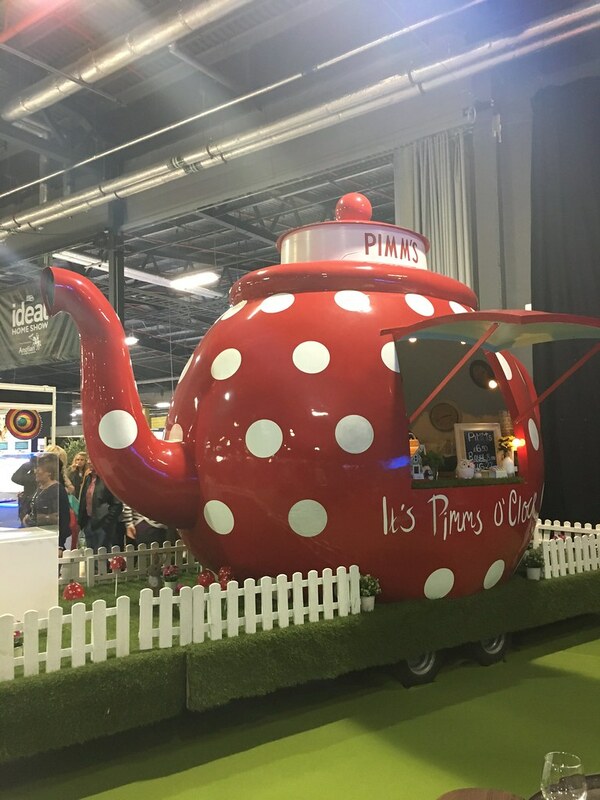 And this Pimm’s teapot was amazing. I wish I had one of these in my garden. 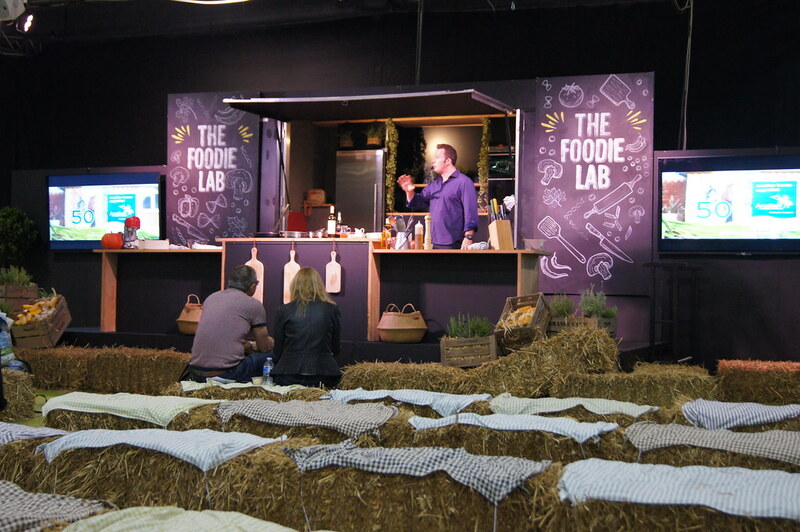 There was loads going on from workshops, to live demonstrations and we walked away with so many ideas. 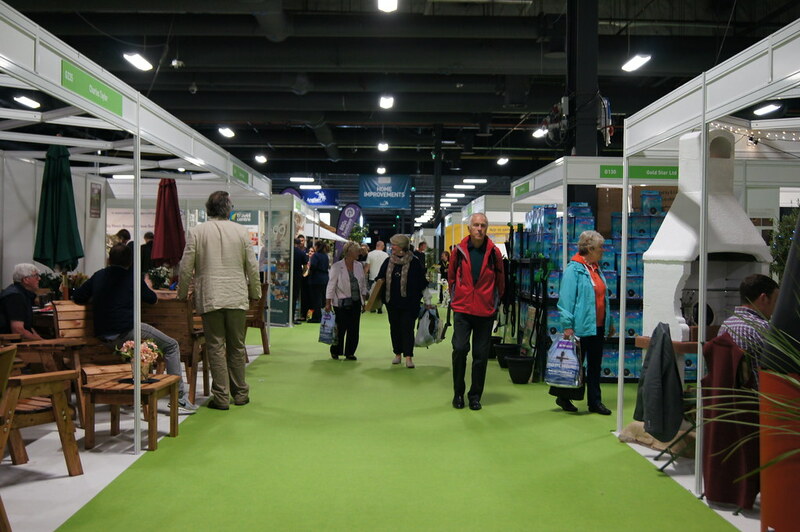 Then it was over to the Ideal Home Show section. 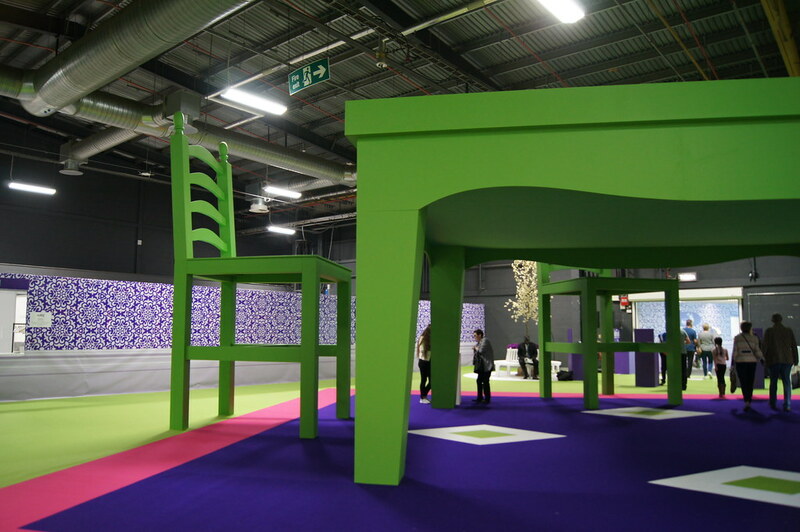 My favourite bit definitely had to be the little room set ups they had. I don’t even have kids but I want this room below. The wallpaper is gorgeous. This room really makes me happy but I now want to go on holiday! 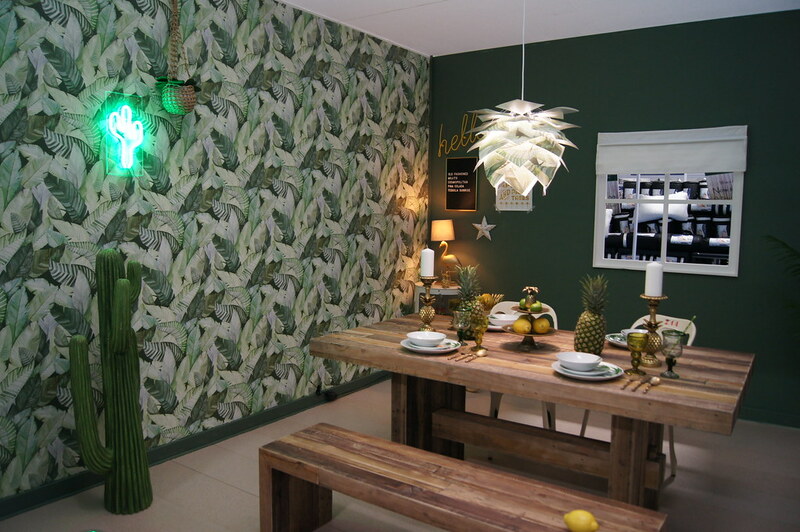 I really like the wallpaper in both the room above and below though I don’t think I’d use it in such a large room. I have an idea to use it in our downstairs bathroom to give it a bit of personality. At the moment it just looks like more of a store cupboard than a guest bath. 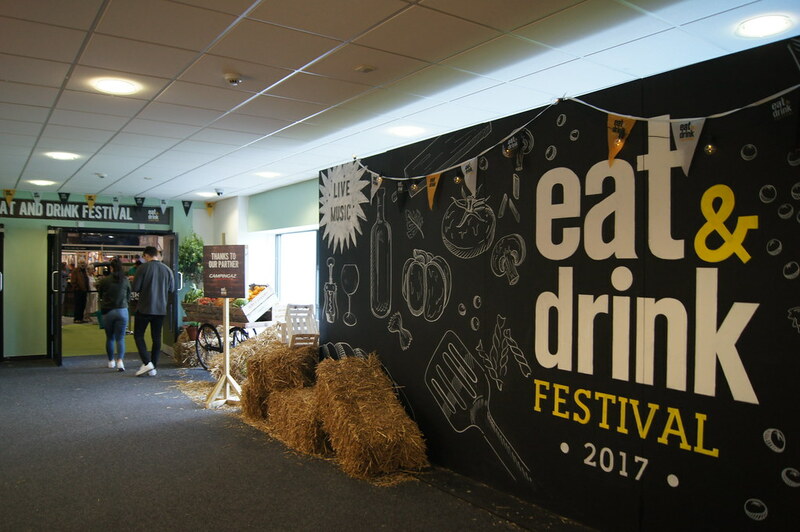 We had a great day and will definitely be back next year – especially for the Eat & Drink festival. 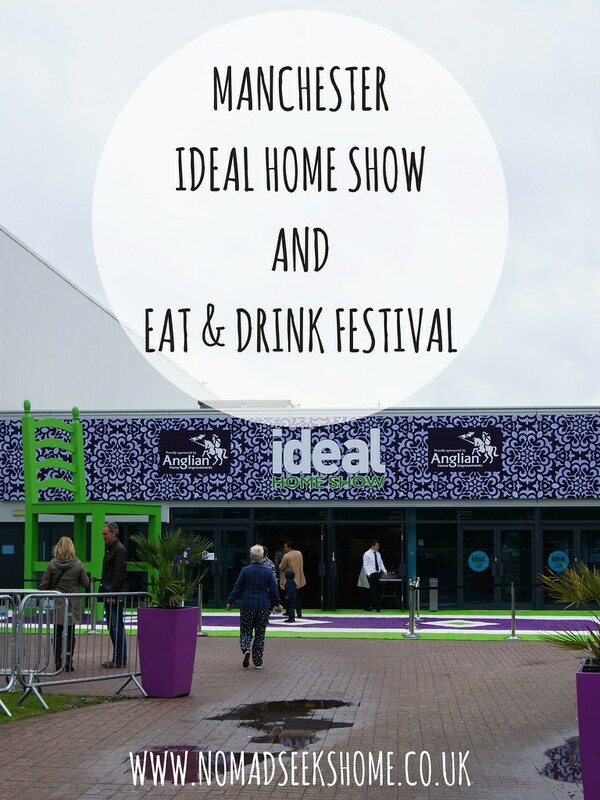 Thanks to the Ideal Home Show for my ticket! Food glorious food! 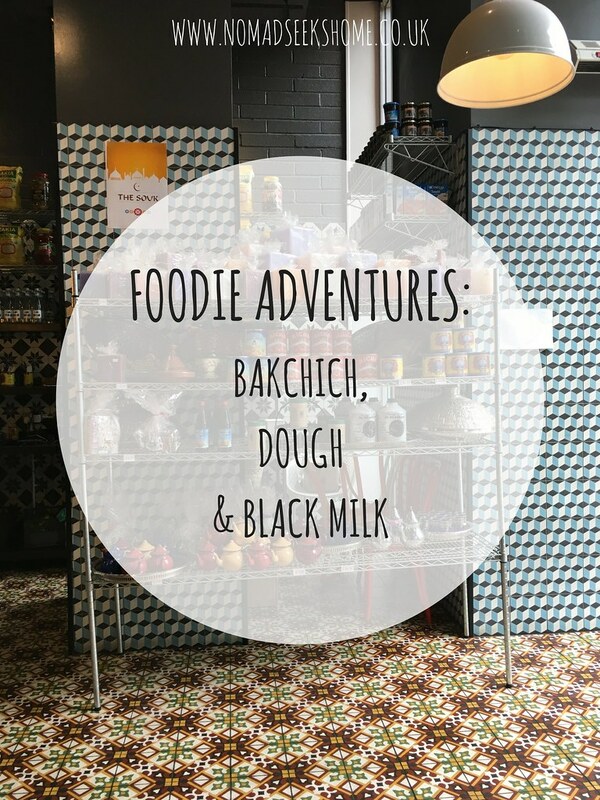 Topher and I have been super lucky recently and have had the opportunity to visit Bakchich, Dough and Black Milk in Manchester. All delicious and all highly recommended. Here’s what we ate. I may be biased being Arab but Middle Eastern food is in my top 5 favourite food regions. 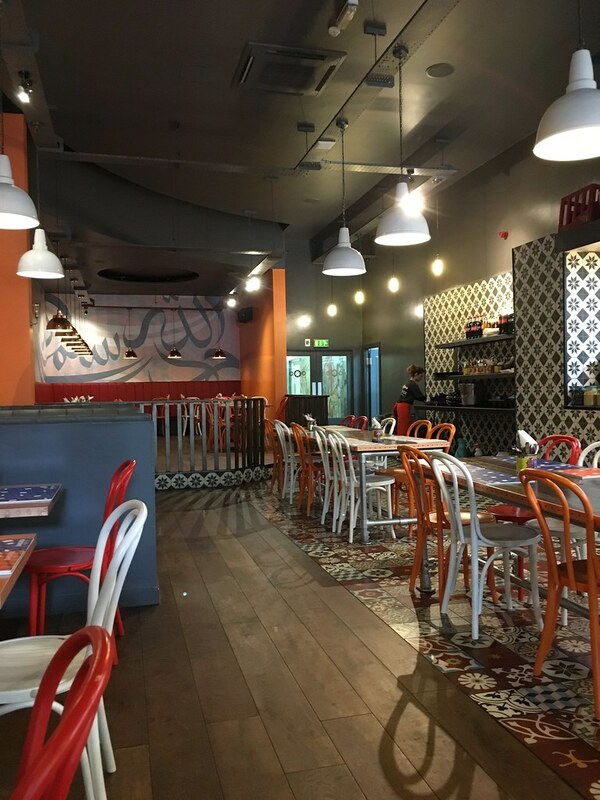 So when I heard there was a new Lebanese restaurant in town I knew I had to visit. Especially since they have Diane’s holy grail. Labaneh. I always find explaining labaneh to British people difficult as it’s kinda hard to make strained goats yoghurt sound good but believe me it is. It’s not out of this world but it’s definitely a dip I can’t live without and until now had to get my yearly quota in my 2 week trips to Jordan every year. Not anymore! 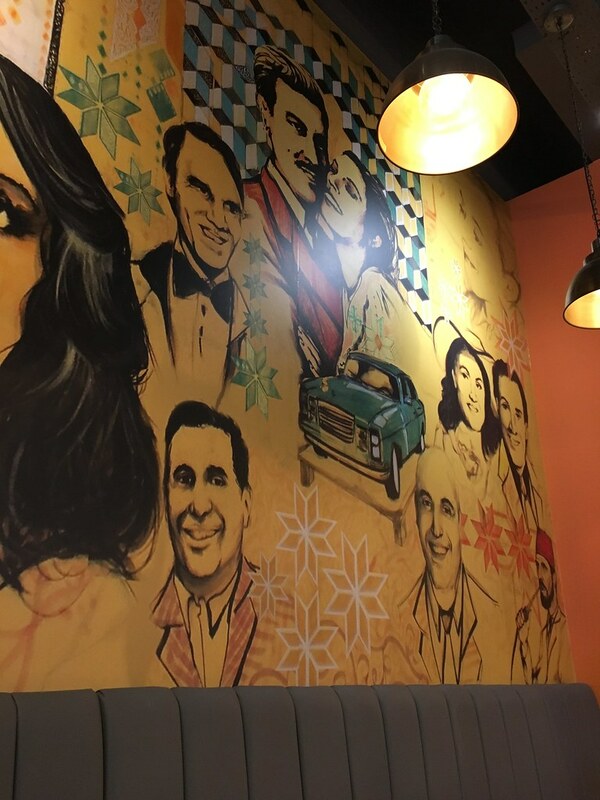 So firstly the decor is awesome. 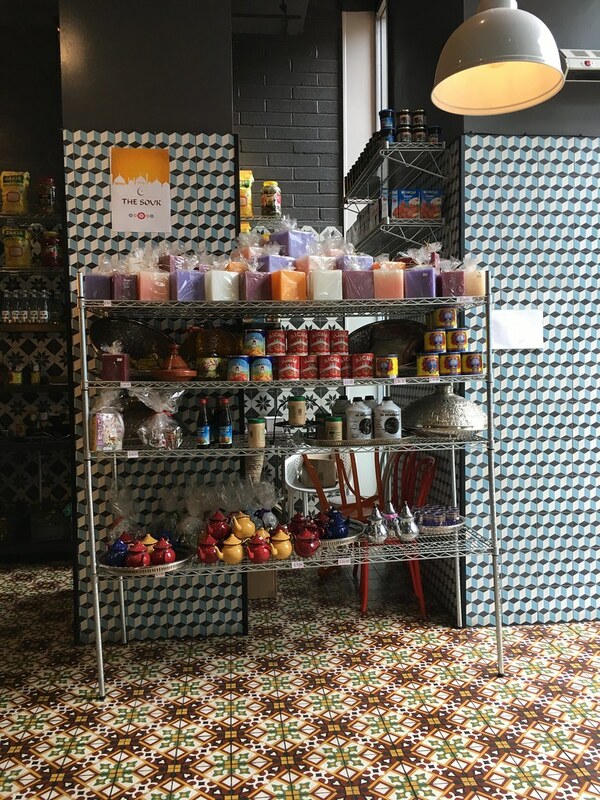 I love the bright colours and the Arabic food packaging everywhere. They were even playing Arabic pop music. Love it. 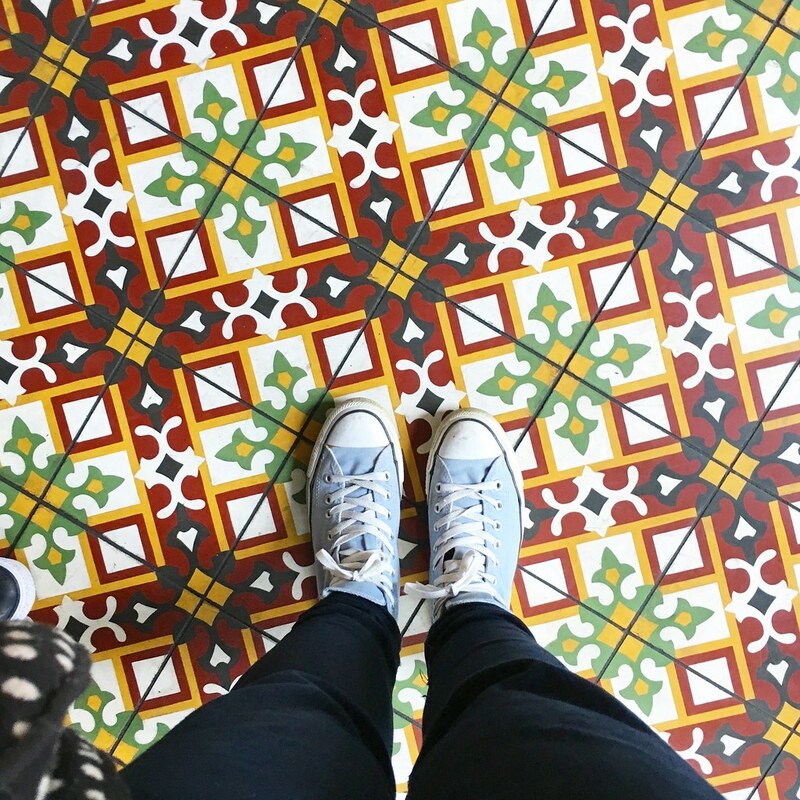 The main feature was definitely the tiles! 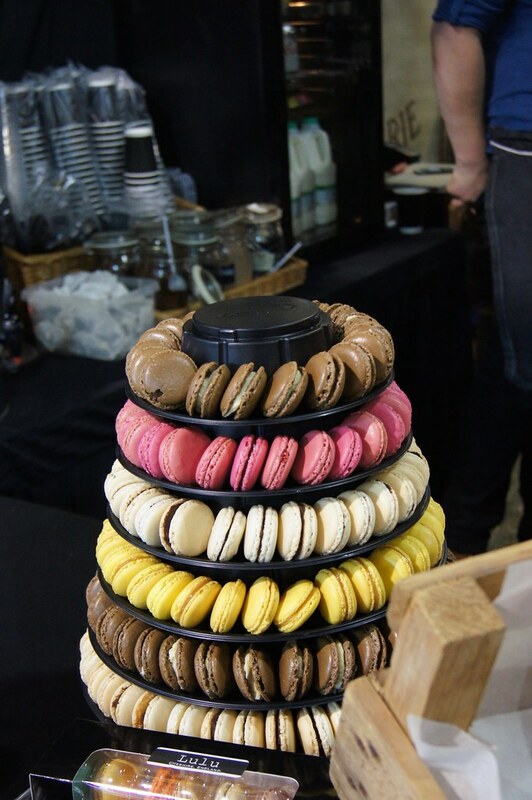 An Instagrammer’s dream. So onto the food. We opted for Limon Nana drinks (Lemonade with lime and mint) and a bit of mezze followed by shawarma wraps (chicken for him, lamb for me). The mezze consisted of labaneh (of course! 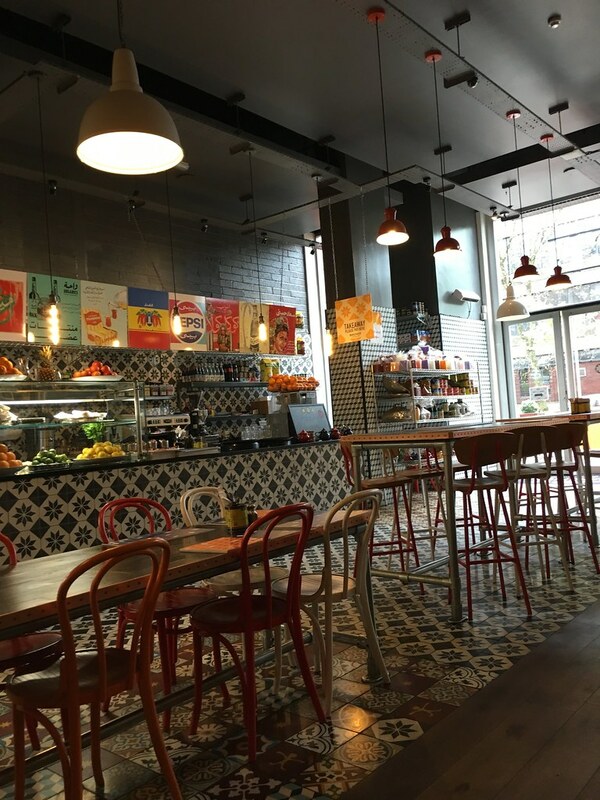 ), falafel, halloumi and salad with plenty of arabic bread. First of all the labaneh tasted EXACTLY the same as it does in Jordan. So happy! 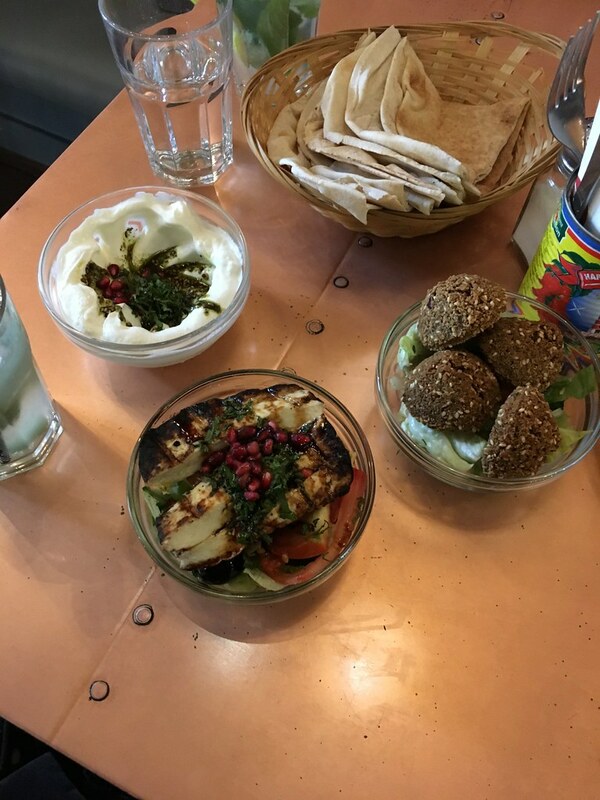 The falafel was green on the inside as it should be and the halloumi was to die for. 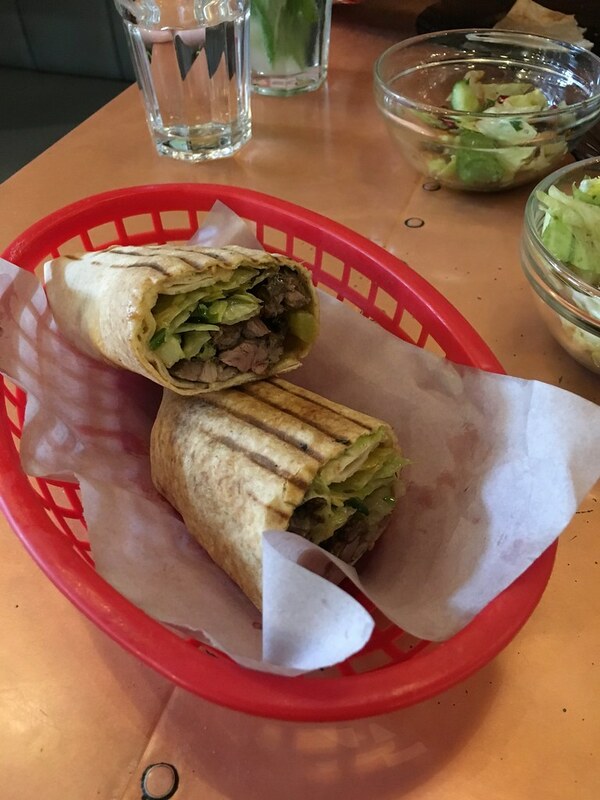 I have to remember though how much I get filled up with mezze so when it came to the shawarma wrap I was so full I had to take it to go. When I did eventually eat it later that day it was delicious. We’ve already been back since and it won’t be the last time. 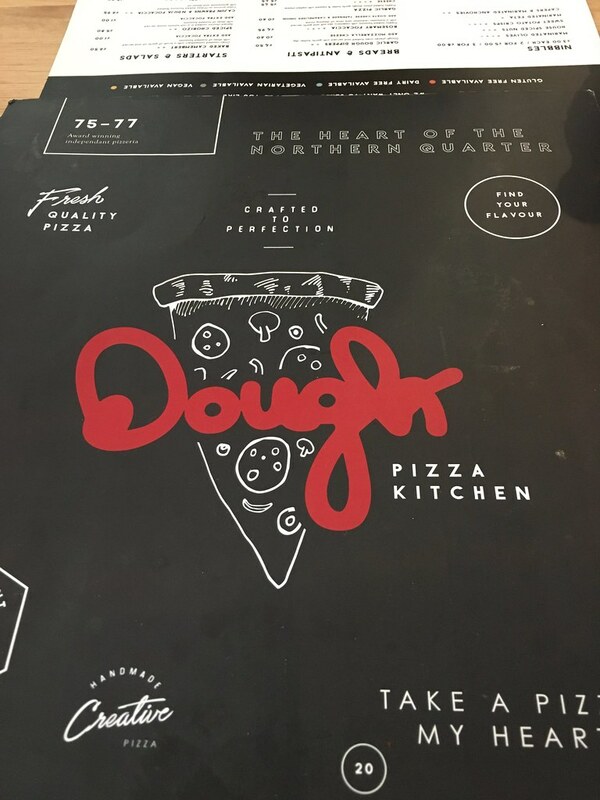 I’ve only been to Dough once and it was over five years ago so that had to be rectified. I still dream about the lamb and mango pizza I had. Topher and I walk past there all the time and keep saying we should go sometime. So the other weekend we finally went with Claire and Steve before heading to Lucardo. I love unusual pizza toppings so when I saw they had a falafel pizza, I was intrigued. It definitely lived up to my dreams. All of the noms. 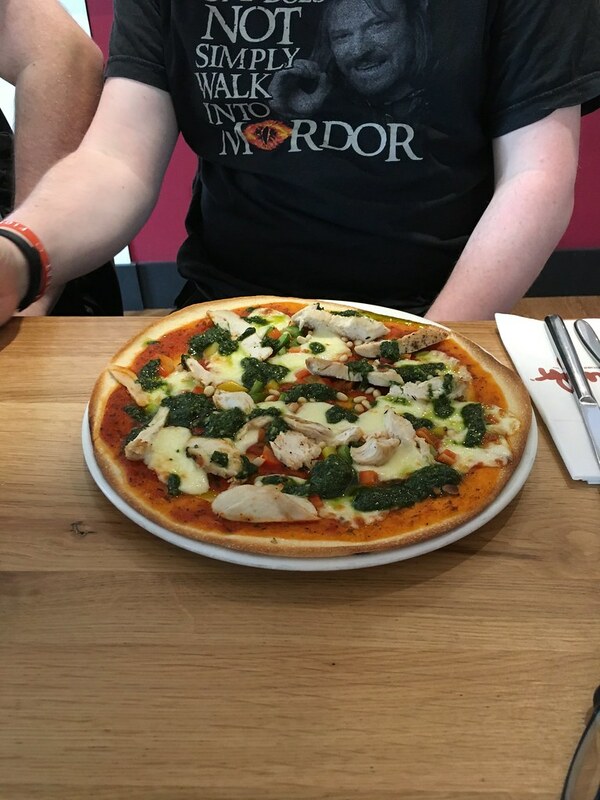 Topher had the chicken and pesto pizza which I had a taste of and it was very nice. 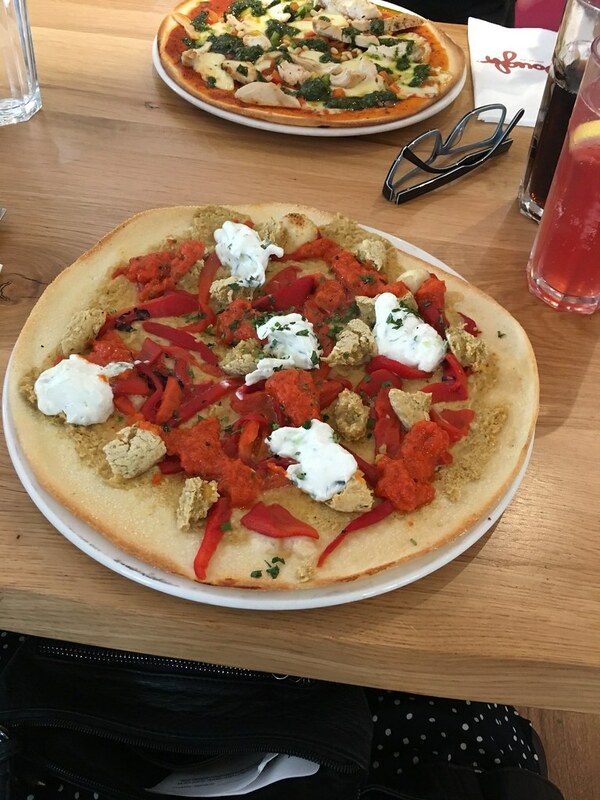 Not as nice as my falafel pizza but still very nice. Topher enjoyed it and it was gone quickly! 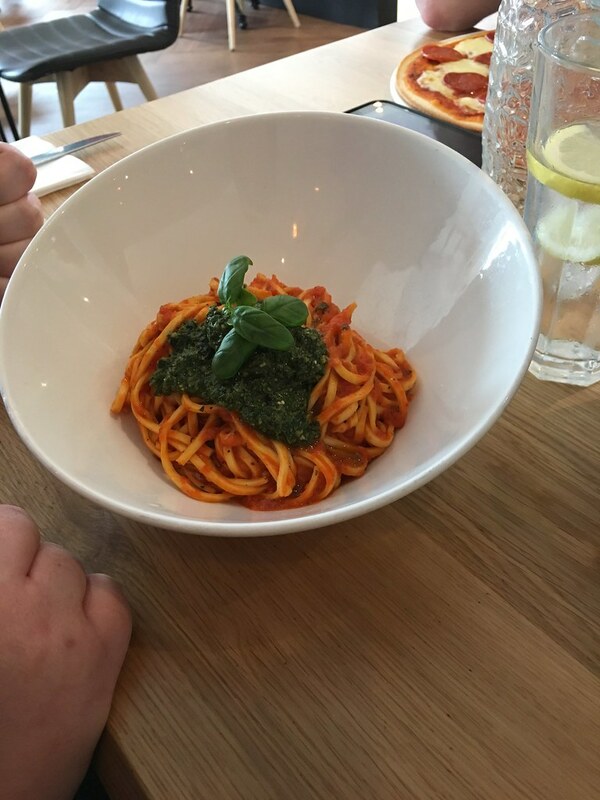 Claire had the red pepper and pesto linguine which she said was tasty but kinda wished there was more of it. Steve had a pepperoni pizza. I’ll leave it up to your imagination what that looked like. 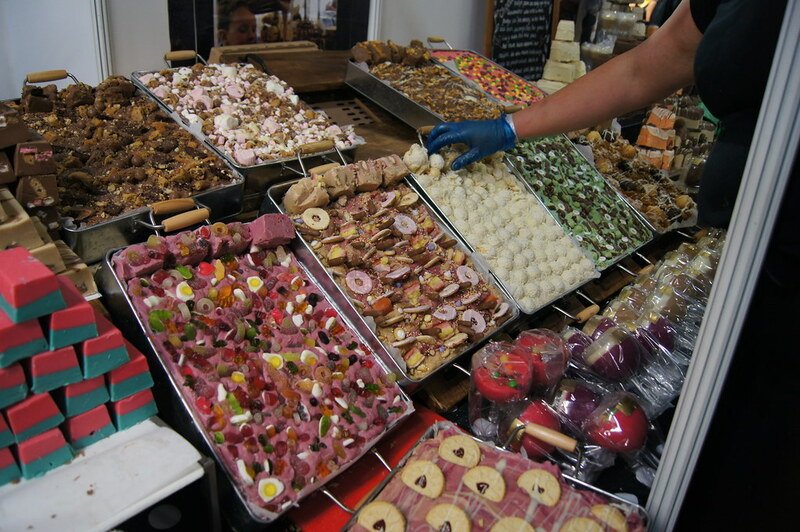 Dessert was difficult to choose (too many noms!) but Topher and I settled on sharing a cookies and ice cream type dessert, Steve had the same and Claire had a sundae of some kind. I can’t remember the names and the dessert menu is not on the website so sorry about that. 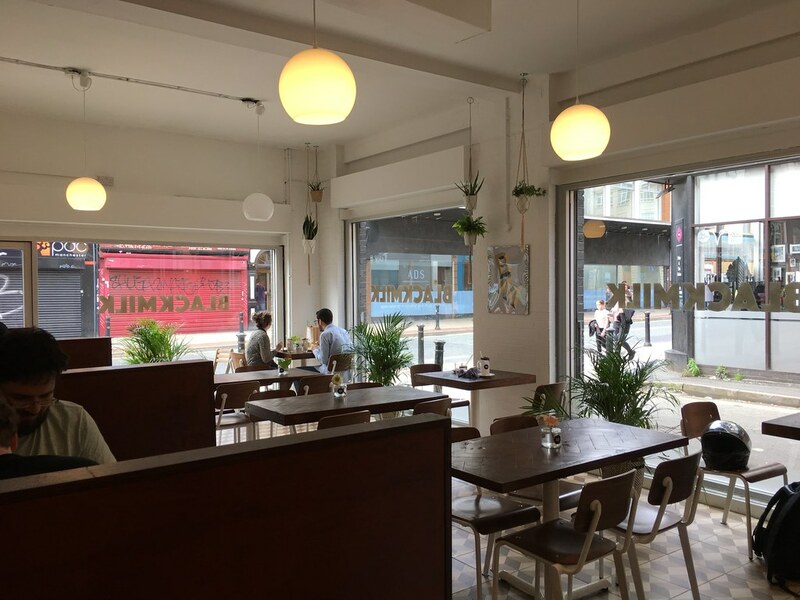 After finishing Lucardo and stumbling across Black Milk on Oldham street, we decided to drop in and have what turned out to be a super sweet snack. 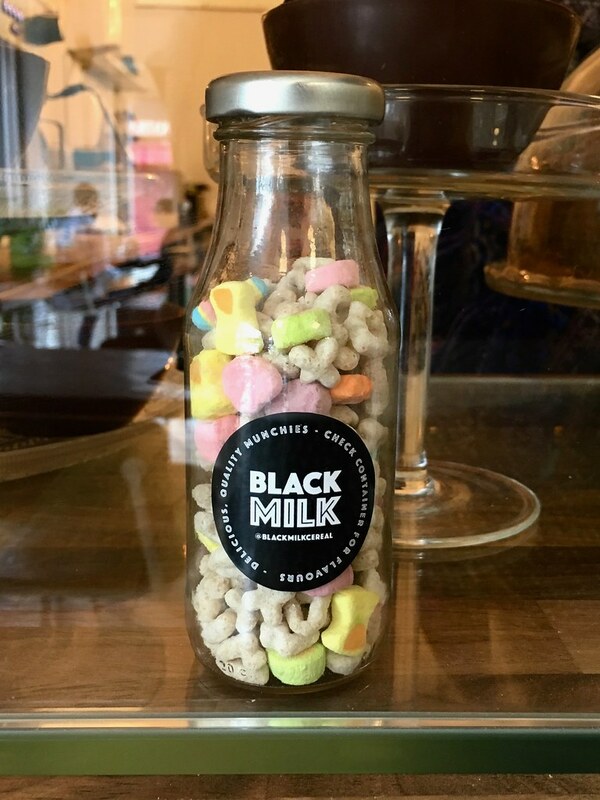 I’ve seen Black Milk in Affleck’s but didn’t know they had a branch on Oldham Street. The boys went all out and got freakshakes while Claire and I chose the more sensible option of just a shake for me and a frozen latte for her. I know my limits. 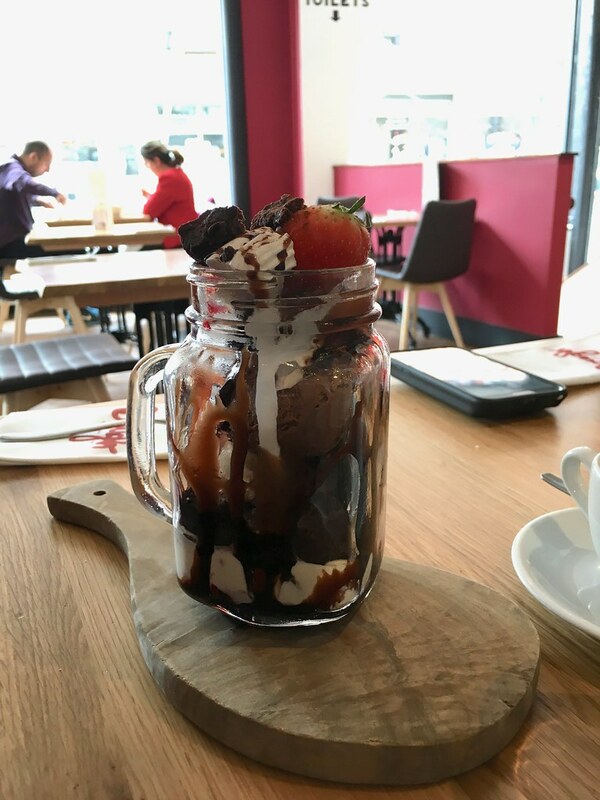 For me personally, freakshakes are for photos only – they’re too much for me to finish. 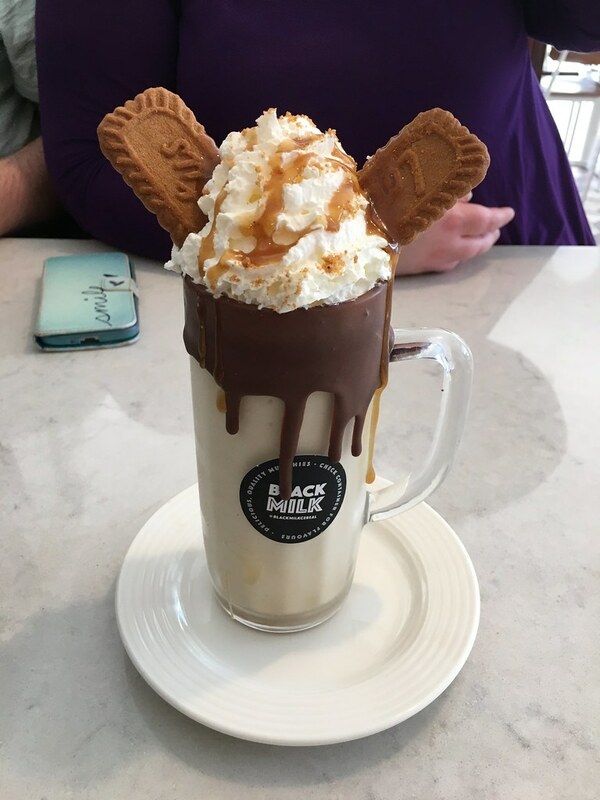 This was my Biscoff & Salted Caramel shake. It was delicious! I couldn’t finish the whole thing but I would definitely be back for another attempt. And now I’m hungry. How about you? 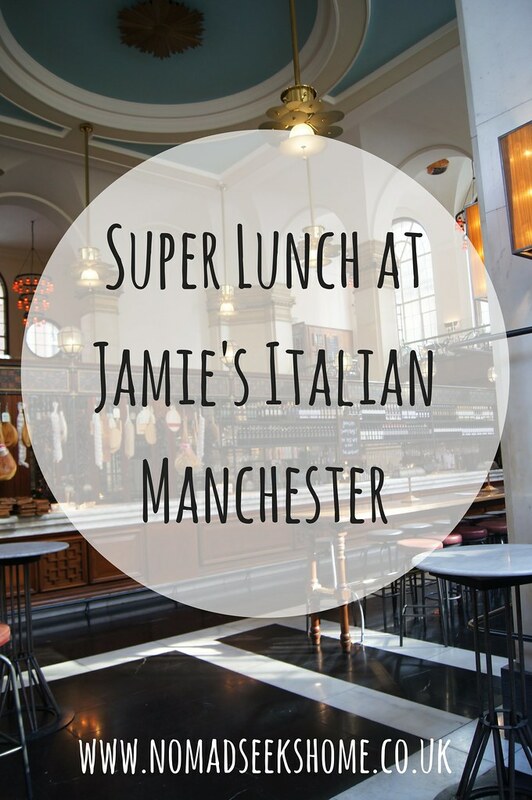 Yesterday, Topher and I were invited to review the Super Lunch menu at Jamie’s Italian in Manchester. Having never been before I jumped at the chance. Italian food isn’t always a type of food that we tend to go for when we’re out of the house as we tend to cook a decent amount of it at home but it’s nice to try something authentic! 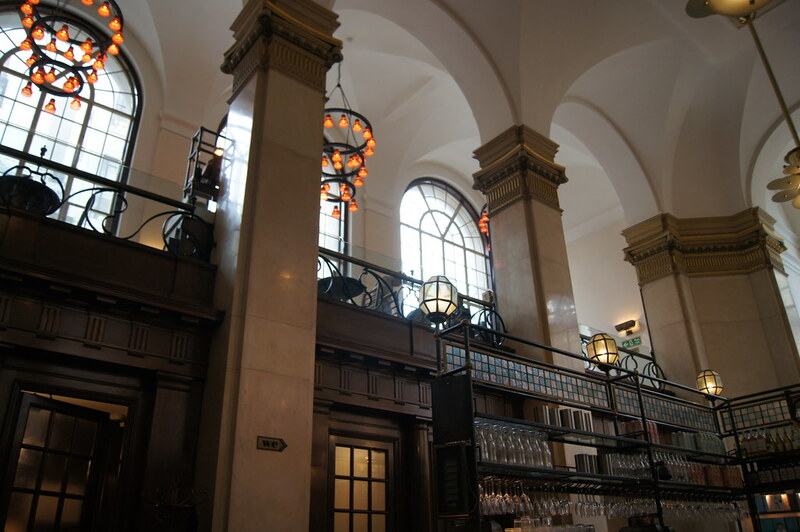 Jamie’s Italian is based at the top of Kings Street in an old art deco building that used to be a bank back in the day. 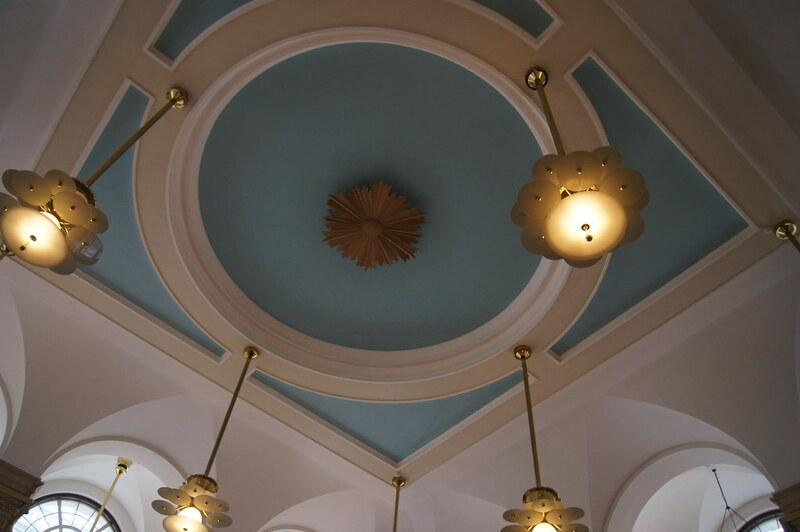 I love that they’ve kept all the original features. There’s seating on both the ground floor and a mezzanine which I definitely want to come back to sit on as the view looks great. 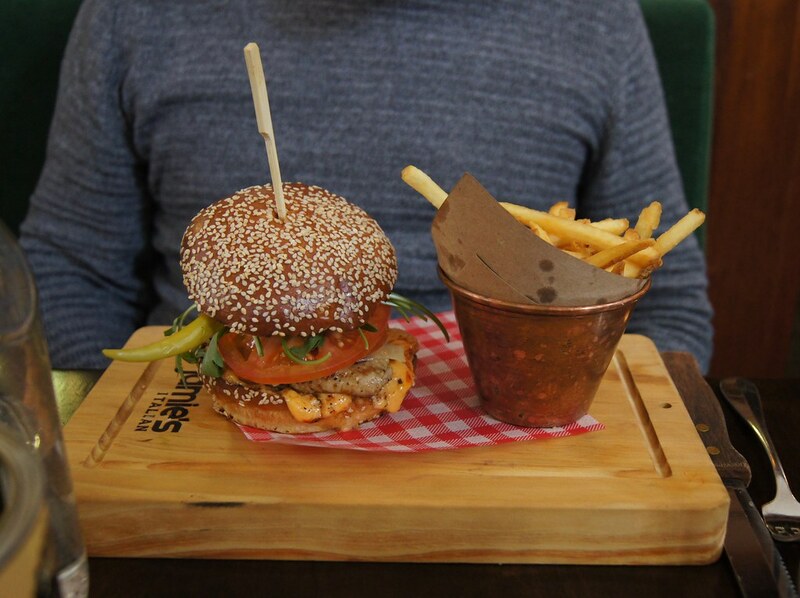 The Super Lunch menu is available between 12pm and 6pm, Monday through Friday and gives you the choice between 2 courses for £12.95 or 3 courses for £14.95. We both went for the three courses and it was great value for money. Topher said it was filling but light and I just found it filling! 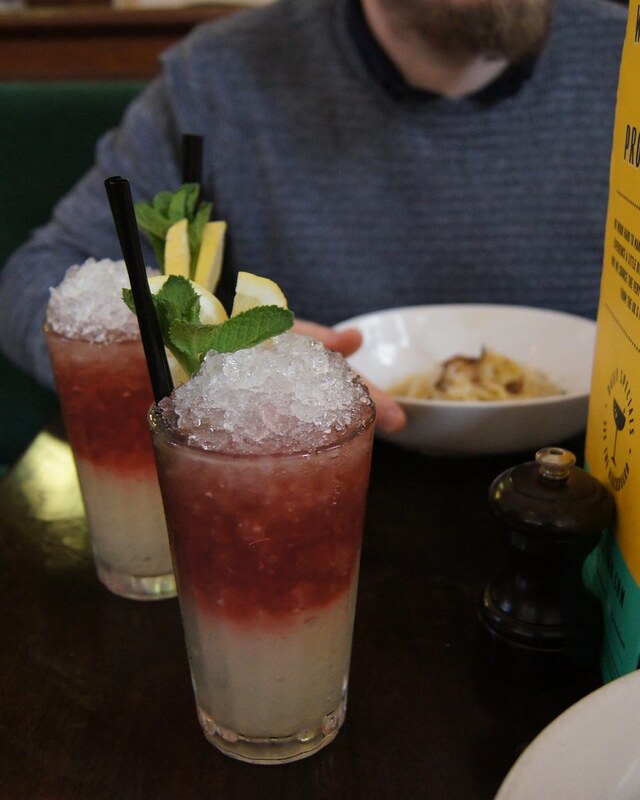 We started with a couple of Florence Fizz cocktails which contain Limoncello, pomegranate juice, elderflower cordial topped with Jamie’s Prosecco. Delicious! We’re both a fan of elderflower so we ended up ordering the same thing. I definitely wouldn’t mind another one of these! 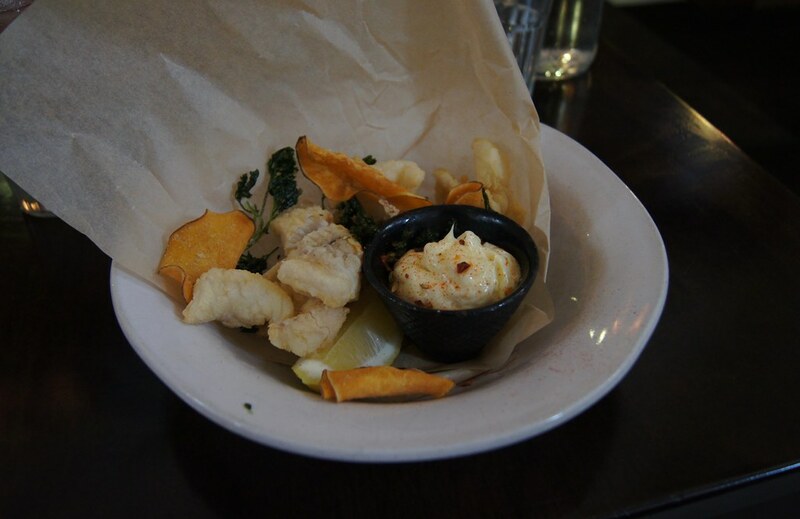 I started with the Fritto Misto which was fried fish & squid tossed in fennel-spiced flour with a garlic & lemon dip. Being a big seafood lover, this was perfect for me. It was light and delicious. I especially loved the dip. 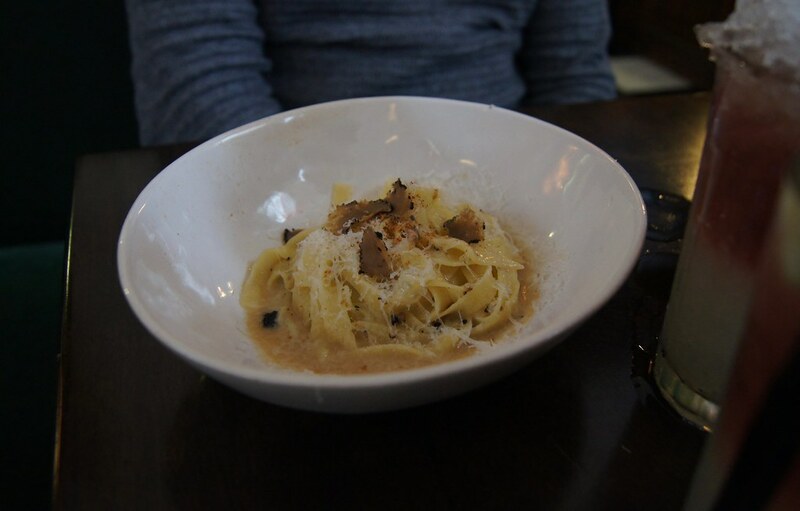 Topher cautiously picked the truffle tagliatelle for his starter. He felt that a pasta starter might fill him up too much for the main but he said it was surprisingly light so it was perfect. I snuck a little taste too and it was delicious! 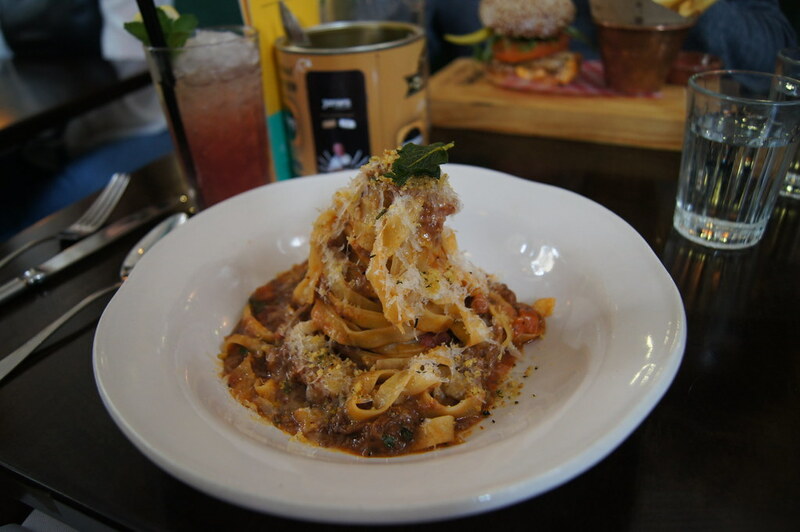 For my main, I chose the oxtail tagliatelle. It was amazing. My only problem is that it filled me up a little bit too much (but this is why I normally just go for 2 courses at restaurants). Luckily Topher was on hand to help me finish! I would definitely have this again though as I cannot fault it on the flavours. I also like that they used oxtail instead of just beef – it made a nice change. Topher had Gennaro’s Chicken Club with skinny fries as a side. 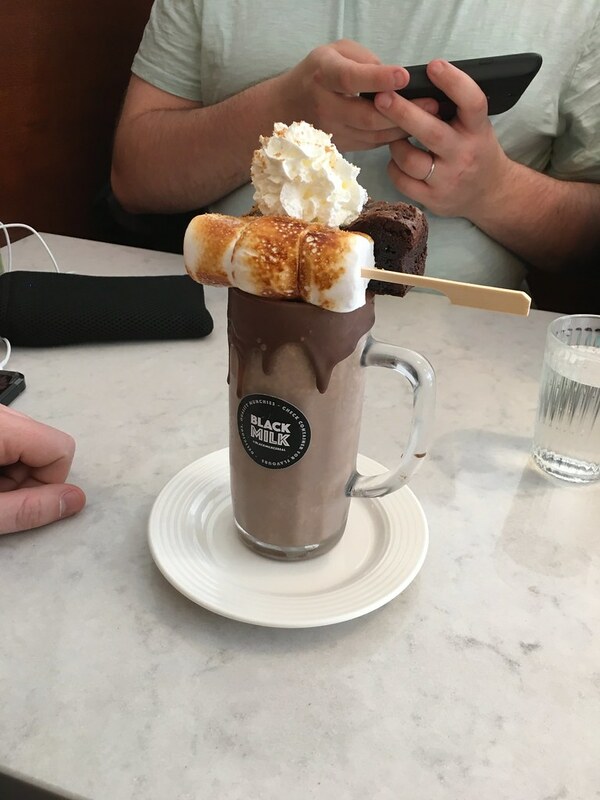 He said it was also surprisingly light and it was refreshing to have a burger that didn’t immediately fall apart when you bit into it. That seems to be a regular problem he has at other establishments. 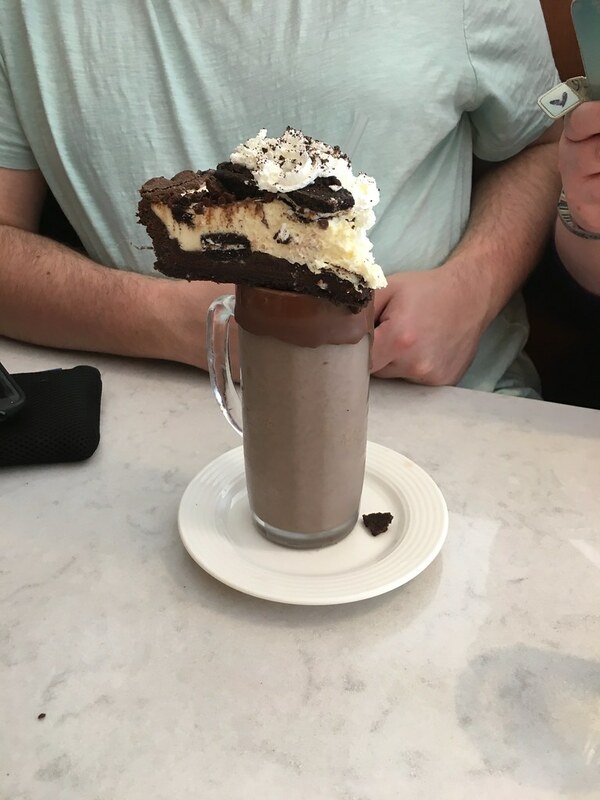 One bite and half the filling is on the plate! So he really enjoyed this chicken club. 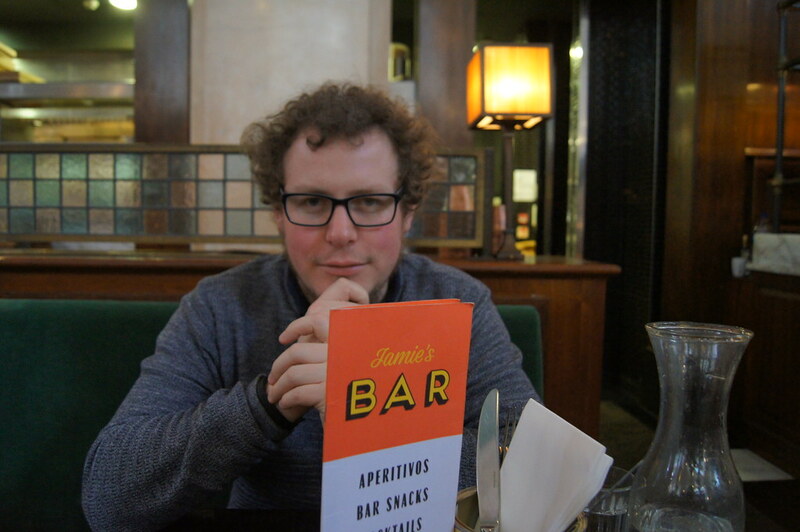 He especially liked the spicy ‘nduja mayo inside and also commented on how great the fries were. Usually fries can be quite greasy but these were perfect. So time for the finale. 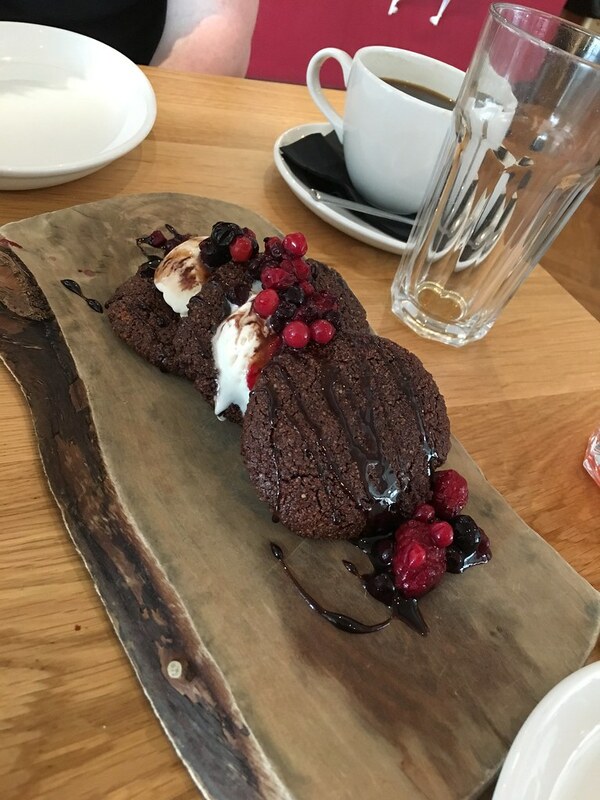 As soon as I saw the word brownie on the menu, I was sold. Though I was still full from my main, I forced myself to have at least half of this. Topher once again, kindly finished it off for me (the reason I’m marrying him, right there!). 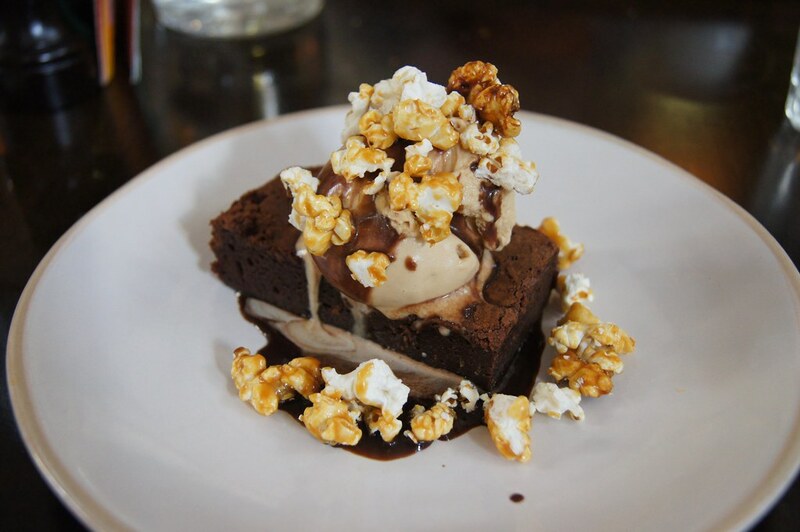 The caramelised popcorn was the perfect accompaniment to the brownie and salted caramel ice cream. I was left in a food coma after this but I regret nothing. I definitely need to return and have another one of these! And just like me, Topher saw one word on the dessert menu that stood out to him and he was sold. Coffee! 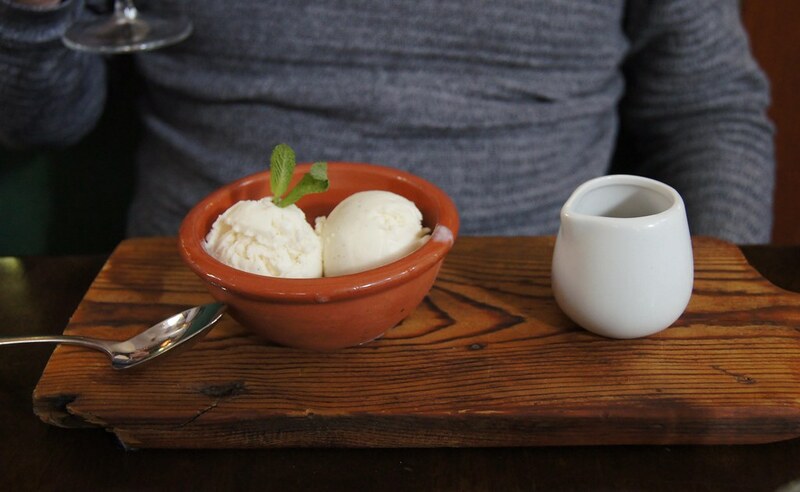 He had the affogato, which is an Italian dessert that consists of vanilla ice cream with hot espresso poured over it. He apologises, but he has to use the word “light” again to describe this. It was a nice end to his meal. So bellies full, we left and immediately started planning when we’ll return! 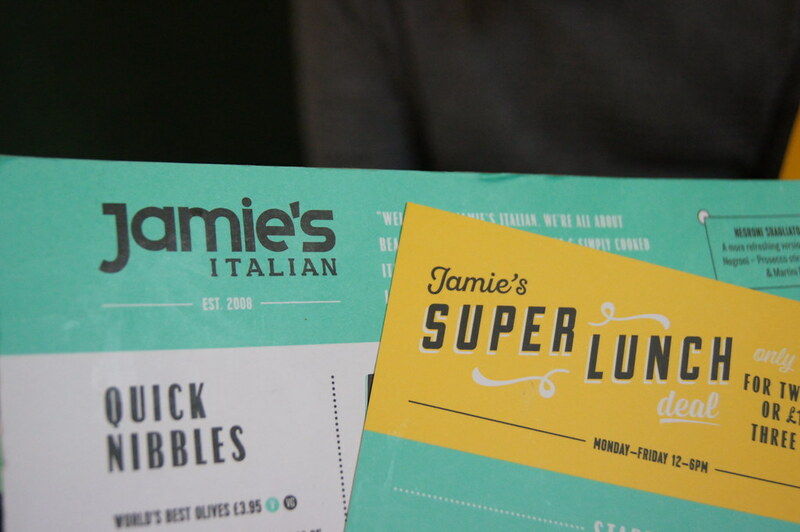 Jamie’s Italian also offers an evening menu deal so that’s definitely next on the list for us to try. 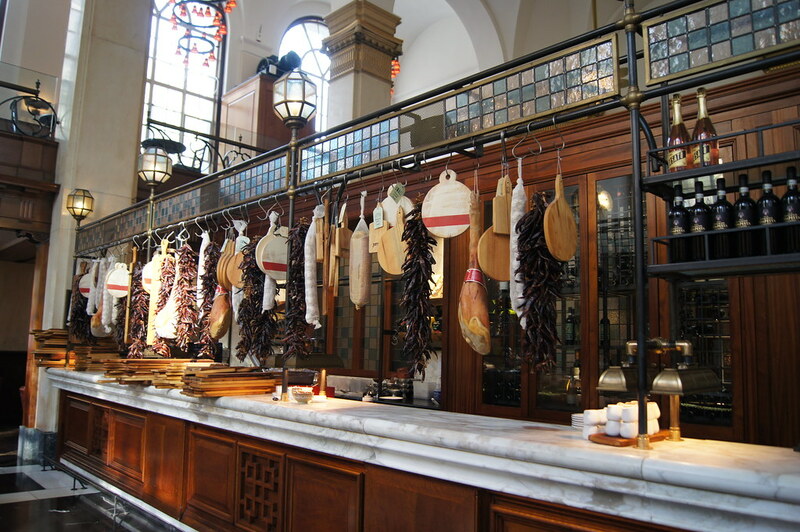 Have you ever been to Jamie’s Italian? *Our meal was complimentary but as always, all opinions are my own. 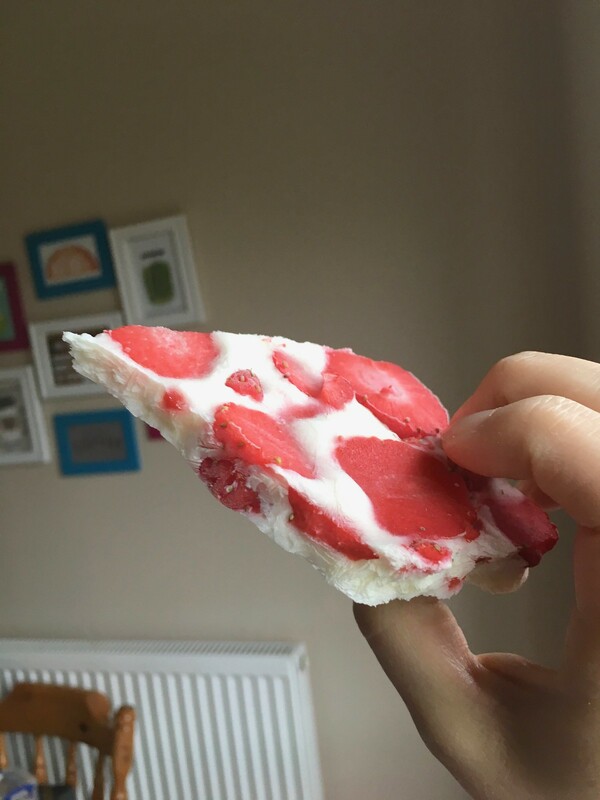 In the last few weeks at Slimming World, I’ve been trying to come up with low syn snacks that will satisfy my sweet tooth. A challenging task! 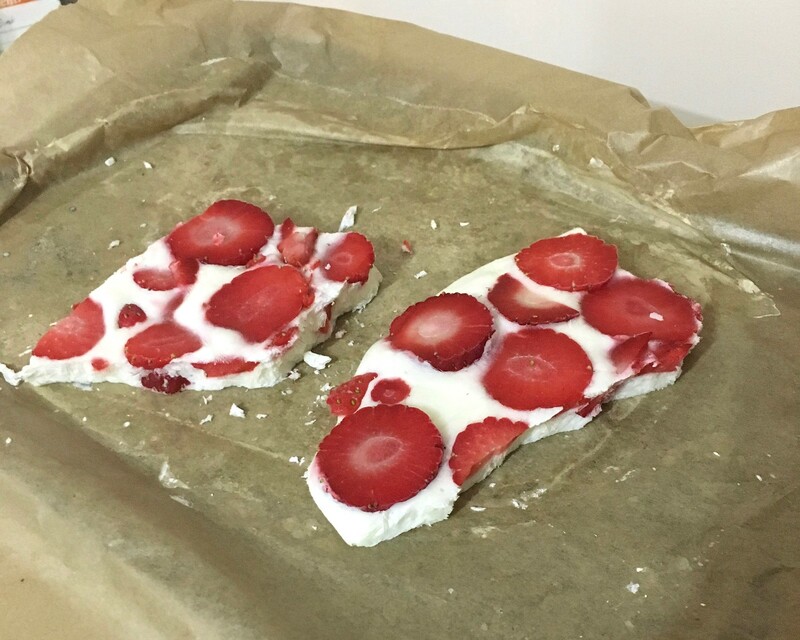 A week or two ago I was browsing Pinterest and came across a recipe for yoghurt bark. 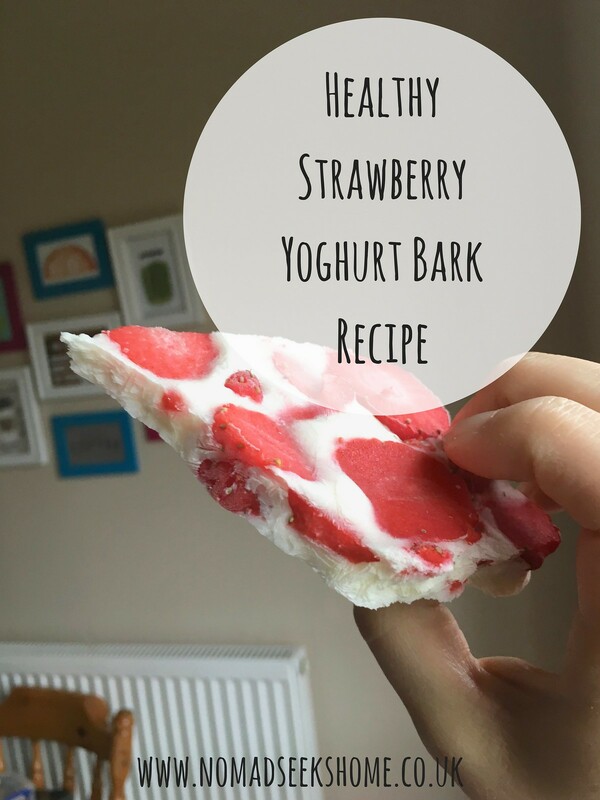 I’d seen chocolate bark before but never yoghurt bark. The recipe seemed simple enough and I could easily adapt it to fit in with my Slimming World food optimising. Mix the sweetner into the natural yoghurt. Chop the strawberries. I sliced them horizontally but it doesn’t really matter how you do it. Line a tray (that’s ok to go in the freezer) with baking paper. 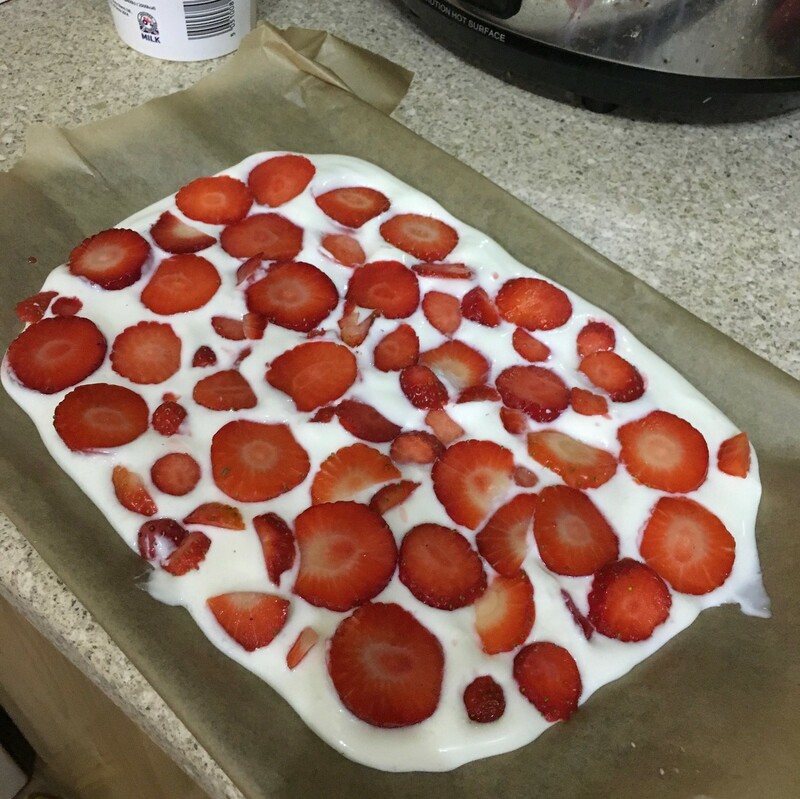 Pour the natural yoghurt onto the baking paper. Don’t spread it too thin – you want your bark to be at least a centimetre thick. Then push your strawberries into the yoghurt, as many as you can fit. Put in the freezer for at least 4 hours. I put mine in overnight but remember that the longer it’s in the freezer, the harder it is to break afterwards. When it’s frozen, take it out and break it into pieces. Since I left mine overnight it was rock solid and I had to use a (clean) hammer to break it! Store in the freezer and take out a piece whenever you feel like it. Enjoy! Unfortunately I didn’t think to take a photo of the whole sheet of finished bark until after we had scarfed down most of it. So here’s the last two pieces. Bad blogger. For any Slimming World members out there, it’s half a syn for the entire sheet. It’s so versatile – you can have it as a snack, dessert or even part of your breakfast. You can switch out the strawberries for any type of fruit so there’s plenty of experimenting to be done. And those who aren’t on Slimming World, you can switch out the natural yoghurt for any type of yoghurt you want like in the original recipe. I can’t wait to try this out for summer – it’s a great healthy frozen treat!